Visit Buena Park is dedicated to offering first class customer service to visitors and gro ups traveling to Buena Park. 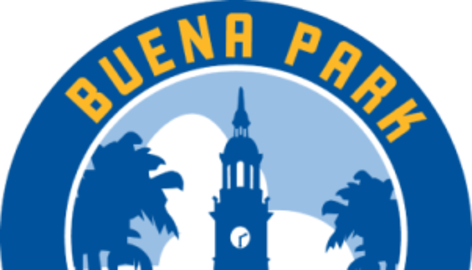 We strive to promote the Buena Park/Orange County brand as well as develop and support destination marketing programs and initiatives. 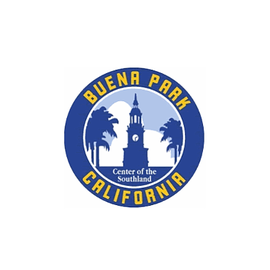 Through strategic and proactive methods, we create innovative programs to increase tourism and group business within the lively city of Buena Park. California Welcome Centers (CWC) are California's Official State Visitor Centers offering valuable information and services for today's traveler. There are currently 20 Welcome Centers across California that promotes their regions as well as the entire state, giving travelers a reason to stay longer in a certain location. The Buena Park Welcome Center is 19th in the State and offers traveler essentials like free brochures, travel guides, maps and directions, free computer and internet access, hotel reservations, discounted tickets, dining recommendations, as well as a gift shop with souvenirs. Eager and enthusiastic student interested in learning more about journalism and public relations in the real world. You have the ability to demonstrate creativity, initiative, and self-motivation; communicate effectively, exceptional writing skills; understand and follow instructions; establish and maintain effective working relationships with patrons, co-workers, supervisors, management and others encountered in the course of work. Intern will be responsible for writing web content, press releases, newsletter submissions, social media posts, and collateral. Bonus is if you have experience writing content for Search Engine Optimization. Candidate must have knowledge of various writing formats and ability to demonstrate exceptional grammar, spelling and proofreading. Experience using Microsoft Suite. Must be a junior or senior at a four year university. (2) Un-paid internships are available. Flexible schedule - minimum 3 hours a week required. Through a partnership with Visit Buena Park in cooperation with Visit California, the California Welcome Center in Buena Park is the only Welcome Center in the Orange and Los Angeles County regions. I f you know and love the Southern California area, the perfect volunteer opportunity awaits you. Join the California Welcome Center - Buena Park Volunteer Staff and be a catalyst for great visitor experiences. The Welcome Center is open seven days a week to assist visitors with their travel needs in California. The Center offers free maps, free city travel guides, discounted attraction brochures and tickets, help with hotel reservations, dining, and entertainment information. The Welcome Center corps of volunteers has grown into a family network of new friendships and close bonds with the staff and one another. The Welcome Center is a very pleasant and fun place in which to serve. Volunteers have the opportunity to meet and interact with people from all walks of life from all over the world. Volunteers are needed year-round; the Welcome Center is open 7 days a week, closed Thanksgiving, Christmas and New Year's Day. Sundays 9-1 are especially needed! Basic skills needed for a Welcome Center Volunteer include: Operating basic office equipment Ability to conduct research using the internet Ability to communicate effectively Ability to use a high degree of tact, discretion and diplomacy in dealing with diverse groups and individuals Ability to establish and maintain effective working relationships with staff, management, and the general public. IMAGINATIVE, ARTISTIC PROGRAMMING PROFESSIONAL NEEDED FOR FINE ARTS! Here at the City's Community Services Department, we invite the brightest, hardest working, and most enthusiastic applicants to join our team. The Fine Arts Division is dedicated to providing fine arts programming that is innovative and fun. The City of Buena Park is recruiting for an experienced Community Services Coordinator that has an imaginative vision for fine arts programming. The Fine Arts Division of our Community Services Department serves the cultural and artistic needs of our residents through a variety of cultural and performing arts programs and special events which include: Musical Theater productions, Summer Concert Series in the Park, Murder Mystery Theater, Autumn Nights Concert, ongoing Exhibiting Arts programming, and Cultural excursions just to name a few! Apply Early. This recruitment will remain open until 100 QUALIFIED APPLICATIONS have been received or until Sunday, July 24, 2016 at 11:59 p.m. The City of Buena Park's Award Winning Finance Departme nt has an opportunity for a talented Account Clerk to assist our professional accounting staff. The position needs a responsible, reliable, and hard working team player with a commitment to superior customer service. Under general supervision, the account clerk performs clerical accounting work related to accounts receivable, accounts payable, and billing activities; prepares and maintains accounting records; and does related work as required. 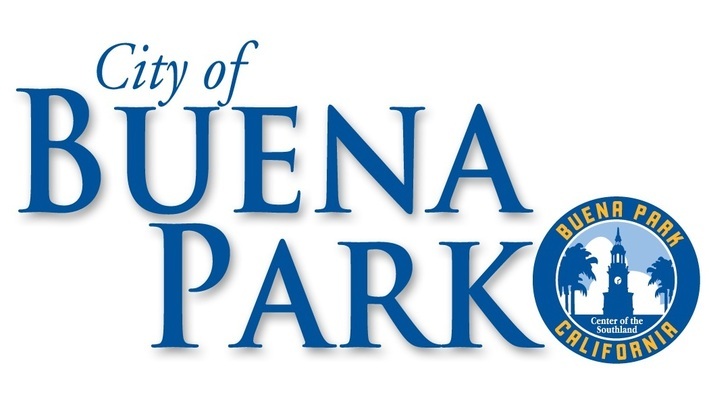 The City of Buena Park is recruiting for a highly motivated individual to join the Public Works Utilities Division. The Utilities Division operates over 220 miles of water mains and sewer mains, and owns and operates eight water wells. The City provides water and sewer services to over 19,000 customers, distributing 2.1 billion gallons of water annually. 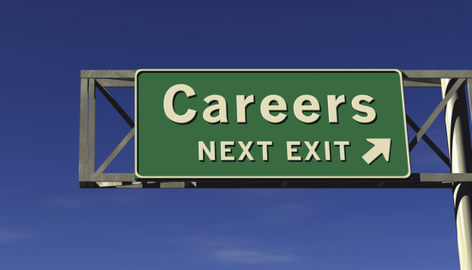 PUBLIC WORKS FLEET MAINTENANCE DIVISION IS LOOKING FOR SOMEONE WITH THE FUTURE IN MIND! The Fleet Maintenance Division maintains and repairs all City vehicles, trucks, tractors and other light and heavy power-driven equipment. Be a part of this exceptional division! SOMEONE WITH THE FUTURE IN MIND! The Fleet Maintenance Division maintains and repairs all City vehicles, trucks, tractors and other light an d heavy power-driven equipment. Be a part of this exceptional division! The Fleet Maintenance Division is looking for a Lube Technician who is a go-getter, someone who is not afraid to learn new things, works hard, is a team player and is willing to grow. The ideal candidate will have experience in basic automotive repair services. If you want to be part of the future of Buena Park - APPLY NOW! Are you interested in starting a career in law enforcement? Become a BUENA PARK POLICE CADET! Our elite law enforcement agency has a POLICE CADET program designed to prepare you for a career in la w enforcement as a Police Officer. This is an exciting and rewarding career opportunity in our Buena Park Police Department! The Police Cadet is a part-time, non-benefited, civilian (non-sworn) position rotating through various divisions of the Police Department. 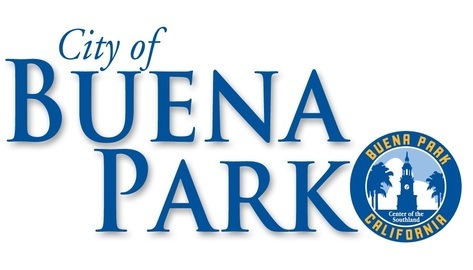 With state-of-the-art facilities and a community oriented proactive approach on crime, the Buena Park Police Department offers a work environment unmatched in Orange County. Would you like to be part of a team that believes in investing in partnerships with the community, proactive crime prevention, community education and overall effective law enforcement work? Become a part of our community team! APPLY TODAY! Under general supervision, performs field level technical support and provides general policy and procedural information regarding the Police Department's operations and record keeping procedures; provides assistance to the public at the front counter of the Police Department; completes initial and basic police crime reports; takes fingerprints; rotates through various divisions of the Police Department; and performs other duties as assigned. Applications will be accepted on a CONTINUOUS BASIS with a first review date of Wednesday, July 13, 2016. Apply early. This position may close at any time without notice. Apply now for summer! Here at the City's Community Services Department we look for the brightest, hardest working, and most enthusiastic applicants to join our Park Maintenance team. A variety of skills are needed to maintain and operate our facilities to provide our residents with a safe and enjoyable experience. Our motto is PARKS MAKE LIFE BETTER! If you want to enhance the lives of the Buena Park Community, are a team player, and enjoy working outdoors - we need you! Shifts range 7 - days a week for roughly 4 hours per day. The department has a current need for applicants who are available to work Monday through Friday from either 7:30 a.m. to 12:00 p.m. or 12:30 p.m. to 5:30 p.m. Other weekend or occasional evening assignments may exist. The Buena Park Senior Center is one of the largest and busiest senior centers in the region. We take pride in our friendly atmosphere and great number of activities for individuals 50+. Our mission is to provide the mature adult population a diverse offering of recreational, educational, social and human service programs. We do this in an environment which promotes a spirit of dignity and limitless potential for later life enrichment. Our Senior Center is looking for kind, patient, understanding, courteous, and outgoing individuals who love working with senior citizens. We need individuals who want to enhance the quality of life of our seniors. Be part of our team that helps our greatest generations enjoy the best years of their lives with dignity, respect, and of course FUN! Under general supervision, operates a 16 passenger bus or van to transport senior citizens to various senior center functions, medical appointments and other destinations; performs basic bus safety inspections daily; assists passengers on and off assigned vehicles; assures the safety of passengers while riding in assigned vehicles; and performs other related duties as required. This part-time position works approximately 20 hours per week. This position requires the availability to work a flexible schedule that may require morning, evening, and weekend work assignments. City Hall is open every other Friday.